Garmin Vector Power Meter Type: Silicon strain gauges with Force Vector calculation. Pedal based. Point of Origin: Assembled in Taiwan. Overview: The original Garmin Vector Power Meter was a long time in the coming. Garmin actually acquired the original Vector Power Meter concept when they bought a company called MetriGear in 2010. We saw the initial MetriGear idea at a cycling science symposium at the end of 2007, but the unit never go to the point of release. Once Garmin acquired MetriGear, hopes were raised that it was going to make it to market soon after. However, these hopes were not realized; for a couple years it seemed like Vector may never be released. Thankfully, Garmin finally announced that the Vector Power Meter pedals were ready for release and they started shipping in September of 2013. Since then, the design has been updated to the current version (Vector 2) and a lower priced single sided version is also now available. When it first arrived on the scene, the biggest thing that set the Garmin Vector Power Meter apart from other competing power meters was that it was arguably the first successful pedal mounted system and one of the first to offer L/R power information; previously most power meters had detected power in the crank or the hub of the rear wheel. An immediate benefit of a pedal mounted power meter is that it can be installed on most cranks by just installing the pedals and calibrating the unit. This makes the Garmin Vector Power Meter one of the more portable and universal power meter system on the market as pedal threads are one of the only universals that still exist on bikes today. This being said, Garmin Vector units require more precise alignment and torque than other recent pedal based power meters that have been introduced, including the PowerTap P1, and a torque wrench capable of 40Nm is not the easiest tool to transport. Also, it is good to note that while the Garmin Vector Power Meter works with the vast majority of cranks on the market, there are few that do not work (see some of the more common limitations in the compatibility category below). 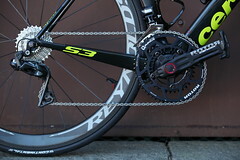 The pedal system that Garmin initially decided to house the Vector Power Meter is an Exustar manufactured pedal of Look Keo design. Why this pedal? The Look based design is proven and works for most riders and Garmin liked the fact that they could control the manufacturing of this design directly without being beholden/dependent on a specific pedal manufacturer/design. In fact, there is really no design limitation that would keep the Garmin Vector Power Meter from being able to be scaled to other pedal designs in the future; the early MetriGear prototypes of the Vector Power Meter were housed in a Speedplay pedal. While time will tell whether other pedal systems will be offered in future years, there aren’t currently even rumors that Garmin is working to add other systems at the moment. Because Garmin is one of the biggest name in the consumer cycling industry, when it comes to ANT+ compatible computers and displays, it is not surprising that they have been able to quickly offer firmware updates to their display units to assist users in setting up and using their Garmin Vector Power Meter. Garmin now offers as complete a power meter system as anyone; like SRM and PowerTap, you can get a complete system (power meter and matching computer head) all from Garmin. When it comes to serviceability of a Garmin Vector Power Meter, batteries are standard watch batteries (CR2032). While they don’t last as long as the AAA used by PowerTap in the P1, they are lighter and easily replaced by the consumer. Like the Stages Power Meter, the Garmin Vector Power Meter pedals had strong temperature calibration functions from launch and this helped the system to be one of the more stable systems across temperature variance at its introduction. Today, this is not nearly the issue that it was as most systems with updated firmware are pretty good at managing temperature variability now. The plastic cleats used with the Garmin Vector Power Meter will need replacement on standard wear intervals like any Look based pedal system. While the system comes with a red 7 degree Exustar cleat, you can use any Look Keo based cleat with the Garmin Vector Power Meter system. 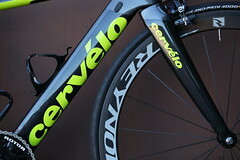 As with most pedal wear characteristics, pedal wear will vary rider to rider. Garmin has made most of the common wear parts available and serviceable on the Vector. However, it is pretty safe to say that if you tend to wear Look based pedals quickly, do not expect this to change with the Garmin Vector Power Meter pedals. While we often see pedals get cosmetically damaged in crashes, it is rare that we see them functionally damaged, so the exposure of the Garmin Vector Power Meter pedal, and its associated “pod”, has not proven to be as big an issue for most riders as some initially expected. The Garmin Vector pods will not contact the ground, even if you clip a pedal in a corner, but they are more exposed to a curb, so some caution in crits and when just balancing your bike against a sidewalk curb. Accuracy of the Garmin Vector Power Meter is rated at +/-2%, which is a pretty standard range for power meters at this point. However, it is important to note that if you want this accuracy you need to make sure that the Garmin Vector Power Meter pedals are tightened to the prescribed 40Nm as even small variances in torque can lead to changes in power data. A torque wrench is necessary. Garmin thankfully started to include a 15mm open end adapter with the pedals (they didn’t initially), so at least you don’t have to track down/grind an adapter that is narrow enough for use with the pedals now. One of the options that the Garmin Vector 2 offers that is not found in all power meters is that the Garmin Vector 2 power meter reads power independently from the left and right pedal. When used with a head that can display power balance (when loaded with current firmware, all of Garmin’s more recent cycling heads and PowerTap’s Joule GPS heads do this), you will be able to see your left/right power balance. The Garmin Vector 2 built upon this functionality by adding additional “Cycling Dynamics” metrics to the left/right display including pedaling smoothness (a CompuTrainer SpinScan like reading that gives you an ideas as to where in the stroke power is being applied), power phase analysis, standing balance and a host of other items that are probably best paying attention to only when riding on a trainer or working on bike fit details. When it comes to left/right power balance found on dual sided power meters like the Vector 2, it is important to note that L/R power balance is not necessary to provide accuracy for training zones. L/R power balance can prove helpful in injury recovery/training tool for those with imbalances in power between their legs those. On a related subject, each Garmin Vector Power Meter pedal set is paired and linked at the factory and thus you can’t mix pedals between sets. 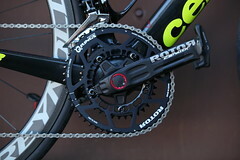 While you need to use the correct version with a given crank (there are different Vector versions for different width cranks), the Garmin Vector can be used with most any crankset that accepts standard pedals. Relatively easy to switch between bikes and more travel friendly than most (with the right tools). Dual sided option and lower priced single sided option that can be upgraded in the future. ANT+ compatible. Garmin makes the most popular ANT+ computer heads in the world and thus recent model Garmin Edge computers have Vector specific set-up and system prompts to make set-up as easy as possible. Data, data, data. If you want metrics, the “Cycling Dynamics” provides so much data that you may find yourself struggling as to what matters. When calibrated and maintained, unit is stable and consistent across temperature variance. 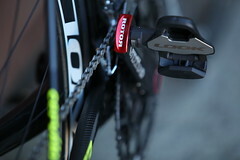 There are a small number of cranks that will not work with the pedals. Pods are exposed. This being said, we have not seen many crashes that have damages a pod and there is plenty of clearance. Damage or wear to one pedal can require replacement of both as they are paired. Data. There might be such a thing as too much and the Vector 2 demonstrates where this line might be. Only available in a Look Keo compatible cleat pedal version (made by Exustar) at this time. Because of torque and alignment specifications, the Garmin Vector is not as easy to switch between bikes as some other pedal based systems like the PowerTap P1. Reliability/Maintenance: Some initial Garmin Vector 2 units were finicky, but current iterations have proven as stable and reliable as other popular systems. Garmin is a large and well established company and they have done a good job of working with people to resolve any issues. The Garmin Vector Power Meter has is own CR2032 battery in each pod/pedal (total of two) with an estimated 175 hours of use between changes. Garmin Vector 2 pedals benefit from regular calibration. Maintenance on the Garmin Vector is otherwise similar to what you would regularly do with a pair of Look Keo pedals. Compatibility/Limitations: While there were initially some cranks that the Garmin Vector Power Meter would not work, Garmin now makes multiple versions of the Vector and there are models that will work on most any bike. Just make sure you buy the version that works with the width crank(s) you plan on using them. Display Quality/Features: The Garmin Vector Power Meter is ANT+ compatible and you can use it with any compatible head of your choice from brands like Garmin and PowerTap. Garmin has built in functionality in their very popular computer heads to make set-up and access of features that the Vector offers as easily as possible. Weight: The Garmin Vector Power Meter pedals weigh 350 grams a pair without cleats (cleats and hardware weigh about 40 grams a pair). In comparison, the middle level Look Keo Max Carbon weigh 250 grams a pair sans cleats. L/R Power Balance: Yes. The Garmin Vector 2 is available in a dual sided version as well as a lower priced single sided unit that can later be upgraded to two-sided. Ease of Installation & Transfer Between Bikes: Installation of the Garmin Vector 2 Power Meter requires threading the pedals into the crank and using pedal washers to space them properly. You need to install the power pods at the recommended parallel placement on the crankarms when you tighten the pedals and then “plug in” the sensors from the pods into the back of the pedal spindles. The Garmin Vector 2 has made the alignment part of this substantially easier and less error prone than the original Vector, but it does still require precision in torque and thus some extra tools and attention. After this is complete, the rest is just the initial calibration and set-up within the ANT+ computer head of your choice, which is requisite with any power meter. Software/Hardware: The Garmin Vector 2 Power Meter pedals do not include analysis software. Garmin computer heads work with Garmin based analysis software like Garmin Connect and Garmin Training Center as well as aftermarket software from Training Peaks, Golden Cheetah, etc. A USB stick based communication stick is included with the Garmin Vector Power Meter pedals that allows firmware updates to be made to the power meter pedals. Conclusions: The Garmin Vector 2 Power Meter is one of the easier to travel with power meters on the market due to its size and wide compatibility. Garmin’s “Cycling Dynamics” offered via the Garmin Vector 2 provides a depth of data that is likely unparalleled by any other system. 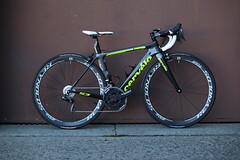 If you have to know every detail of every pedal stroke, few systems can match the Garmin Vector 2. Pedal based systems like the Garmin Vector are truly different from the other crank and hub based approaches on the market and thus offer advantages and considerations specific to the individual user accordingly. Call or email for more information or to order!